is an independent government relations firm in Salem, Oregon. 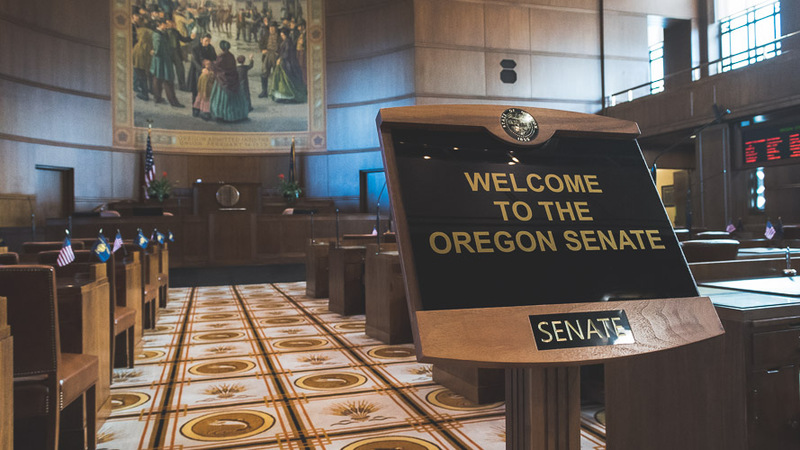 For over 40 years, we have represented a diverse range of clientele on a wide variety of issues before the Oregon Legislature and Oregon State Agencies. Over the years, we have developed strong relationships with lawmakers, legislative staff, and agency personnel alike and strive to develop and maintain these connections on a cornerstone of trust. Whether you need to prevent passage of legislation, or wish to advocate for law changes, we specialize in utilizing every avenue available to us to accomplish your goals. Whether it is a small project, or long-term representation you seek, we are happy to put together a winning strategy that fits your specific needs. We have a proven track record of passing challenging legislation as well as mitigating or stopping harmful outcomes. We strive to take a proactive approach to advocacy in staying ahead of issues, stopping emergencies before the happen. We can demonstrate our successes with both short-term results as well as decade’s long client relationships. A tool we use often in putting together a legislative strategies for our clients is developing and engaging coalitions to impact the legislative process. Often times, this comes from a grassroots approach, building from the bottom up. Other times we work with interest groups to bring people together to advocate or fight a common cause. Each year we spend countless hours consulting and working with candidates, especially during campaign season. As such, we can help you strategize how to best use you’re Political Action Fund, or wish to put together winning campaign plans.